And this is only an abstract. Please check the Additional information below for more details. As with most things in life, it comes at a price: the high melting temperature of 260 °C means that you will need a all-metal hotend to handle this. And because it is just release from our factory, we do not have in-depth guidelines on how to get the best results. But if you need the above material specifications, there is no real alternative. FEP is a fully fluorinated polymer, a family of plastics well known for its anti-stick properties. 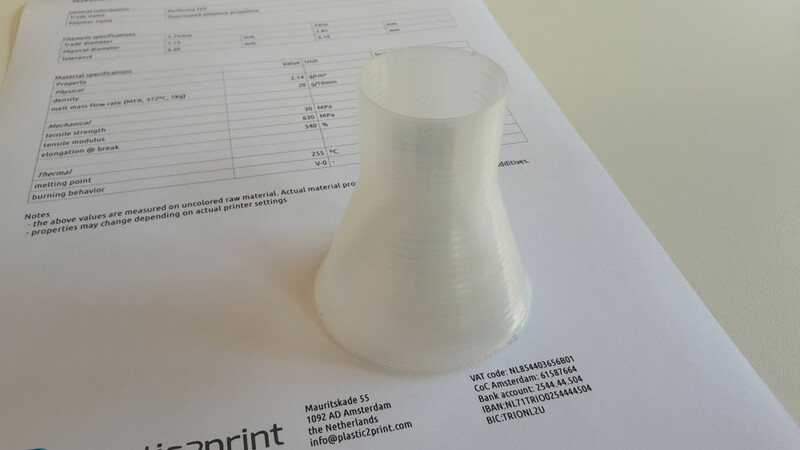 FEP is an extrudable material and brings the properties of fluor-polymers to 3D printers. Apart from the anti-stick properties, it has a low coefficient of friction and very high weathering and UV stability. Warning: FEP must be handled with care: if overheated, fumes can be toxic for humans. Vapour extractor units should be installed above processing equipment. When cleaning processing equipment, do not burn off any of this product with a naked flame or in a furnace. 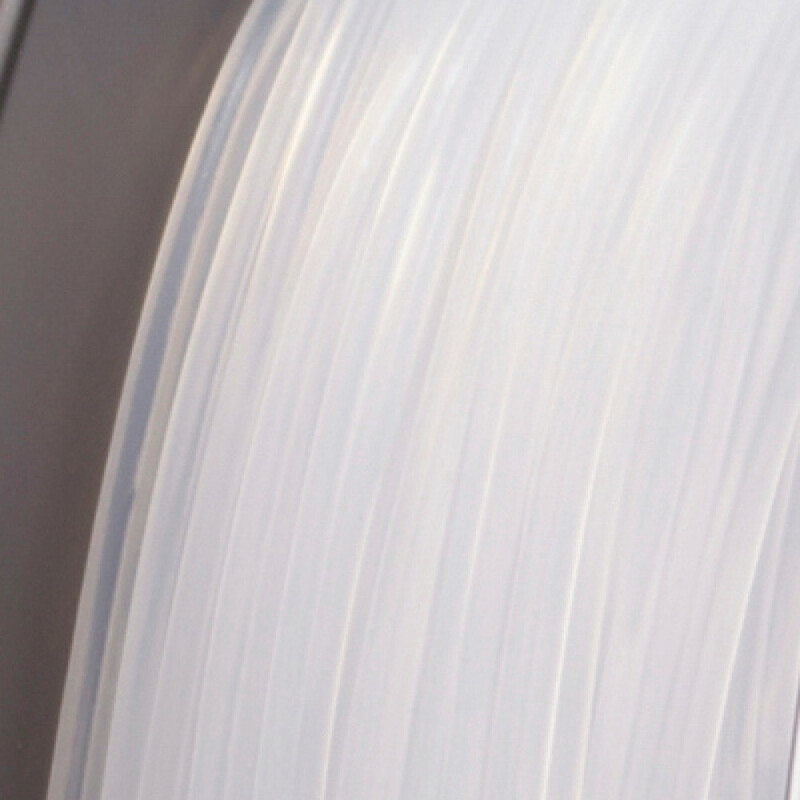 This filament is packed on a plastic spool to prevent entangling. 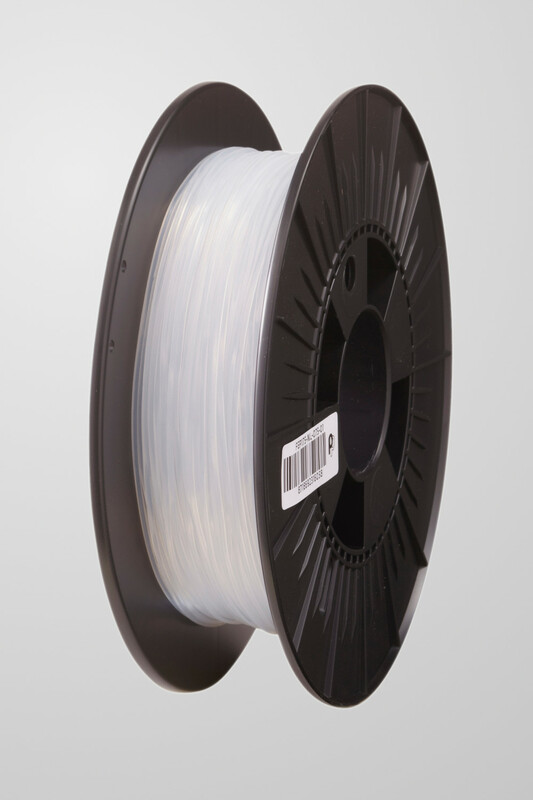 It comes to you in a reclosable to prevent the filament to get into contact with dust and debris and to keep moisture levels low. You can find the spool dimensions in the table below.